The free agency period of 2011 happened for the first time AFTER the draft. For me this is the way I prefer it to happen. You select the players in the draft for your starting spots and you fill the holes left in FA. Of course this year it is back to it's original form. Last year though following the draft the Broncos did exactly what I said before, they went out and filled key holes in their roster. After the draft the triple threat EFX knew they needed another running back, defensive linemen and some veteran tight ends to go with their newly drafted rookies. The top prize of our free agents would be Ty Warren. 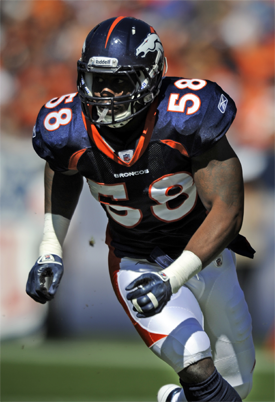 Was the biggest name to be signed to the Broncos and we as fans had high expectations. Warren had been dominate in his youth and a key component of the Patriots big three along the defensive line. But he did miss a number of games over the previous seasons due to injuries. 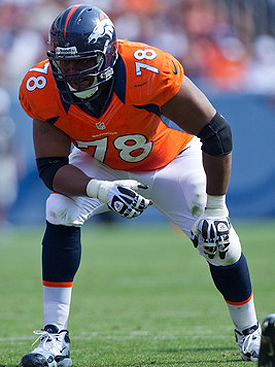 With the Broncos he did not last much longer as he was injured and lost for the season with a triceps injury. 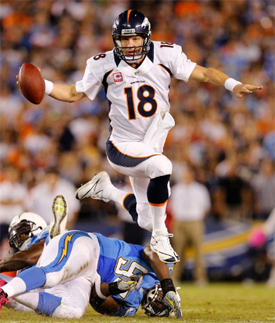 He is still under contract with the Broncos and we again will have high expectations for the coming season. The best SIGNING by the Broncos in 2011. 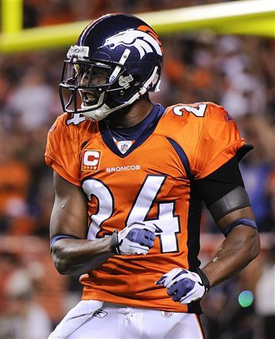 He started off the year as the back up to Knowshon Moreno but quickly took over the starting job. As a 30 year old RB we were not expecting much and thought he would be a good back up, but wow. He had a great bounce back year and topped the rushing numbers for the Broncos. His receiving number are also interesting, he didn't do much in total but when you realise he only had one completion from Tebow over those 11 games it makes you wonder what changed. Wilhite was signed late in the offseason and rushed into the starting line up as the nickel. But he was outshined by Harris and replaced soon after. Wilhite burst onto the scene with his two sacks early in the year but dropped off after that. He is a project player and will probably be a back up going into the future. For the first time in a long time a trade that worked out really well for us. Bunk started off the year interestingly. He was not wanted by the Eagles who first tried to trade him to Cleveland. But in yet another dumb move by Cleveland they didn't clear Bunk medically and the trade was void. Step in the Broncos who traded for Bunk and cleared him medically. Bunk would go on to play every single game this season for us (that ones for Hillis!). The pick up of the year by far for our defense and really solidified the defensive line for this season. Bunk didn't get any sacks this year but that really isn't the position he plays. He is a run stopper and did a great job of it this year. Hopefully we resign him. For next season keep doing what you have been doing and try to sneak out a few sacks. Fells had a decent year and made a number of clutch catches through the season. He was the only tight end to do anything significant this season. Didn't do much this year for us, had only 7 catches. He was released and resigned at some point too. I don't expect him to hang around long. Anderson was an interesting one. 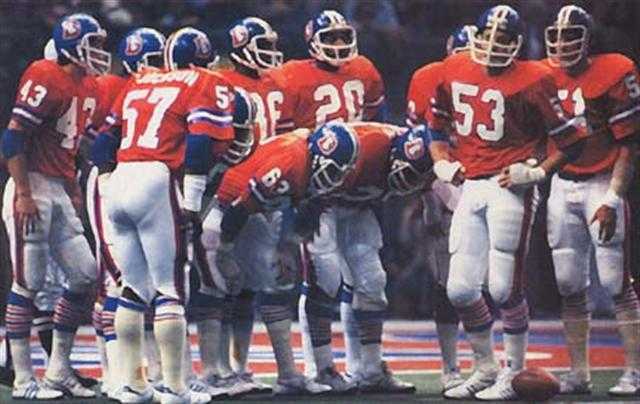 The Broncos brass was very high on Anderson when they first signed him but at the time he came into a crowded WR corp. With Lloyd, Decker, Royal locking down spots and with Thomas and Willis waiting in the wings Anderson didn't make it on the roster and was released. After failing in Jacksonville the Broncos gave Harvey a lifeline in a very low risk, possibly high reward deal. But Harvey didn't crack the starting rotation and was a healthy scratch all year. It will be interesting to see what his old head coach/new defense coach Del Rio will do with him. Jarmon was apart of another failed trade by the Broncos. When Jarmon was brought into the Broncos there was high hopes for him. The belief that going from a 3-4 to his favoured 4-3 would help him burst onto the scene. But he flopped and was released by the team (he was signed to a future contract but I don't have high hopes for him). This trade was made even worse by the fact the Broncos traded WR Jabar Gaffney who in the previous season had career high numbers only to beat them in Washington with even better numbers. Throw in the fact the Broncos now lack that veteran presence in the receiving corps this is currently up there with one of the worst trades I can think of in recent memory. The Broncos free agency signings last year were some good and some bad. It is also interesting to note that there is no high prized FA in that lot but that doesn't mean the Broncos didn't try to get one. There are a few I haven't included like practice squad signings as they haven't done much. 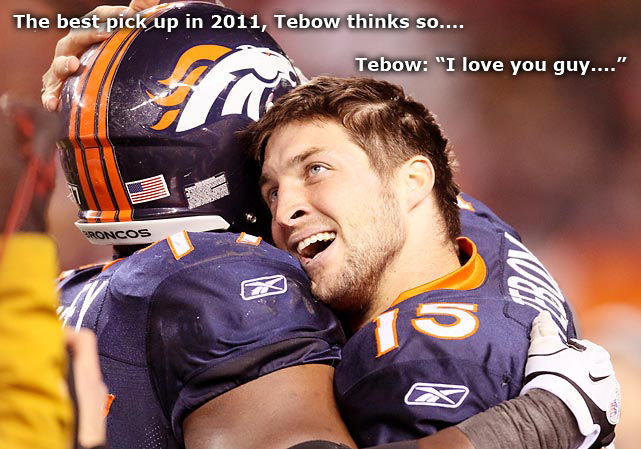 I think this year the Broncos will try to do much of the same. Try to sign players to fit specific holes or upgrade the talent at a specific level then draft high talented players at specific positions. It is going to be an interesting few months. March 13 mark it down ~ Aussie. I'm back and can't wait for the combine. I am going to focus on DT, CB and DEs for this draft, and a few RBs. Should I put a lot of effort into any other positions? Yes. If we fill most of the major holes in FA, I would say BPA in the draft. Major holes to me are RB to split with McGahee. CB better than Goodman. A DE substitution for pass plays for Ayers. Irving(MLB) and Moore(SS) better be ready. Maybe Fox will work on the OL. Walton and Beadles are McD guys. Kuper and Clady, Shanny guys. Any of them could be on the way out if he deems fit. Hey Digger, I have RB and CB as needs. I am also feeling a DE as well. MLB and SS probably stay put otherwise they may address this in FA. And I can see them drafting OL guys in the later rounds.